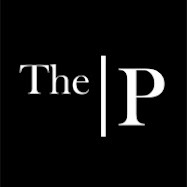 The Primitique: How Cool Is This? 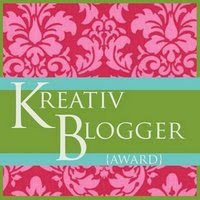 I have been bestowed, not once, but twice in the same day, with the Kreativ Blogger Award. I am honored! Thanks, y'all! Blogland is such an interesting world. A world where you "meet" folks with common interests. You read of finds, creations, families, pets, projects, ups and downs. You see photographs that you sink into. Sometimes, you hear music that bonds you with the blogger, even if for just a few moments. Amy at WhisperWood Cottage surprised me with this award first. Do you know her? She's a sweetheart! Amy is not stingy with sharing cool stuff. Sharing is good. Candy at Junk Sophisticate then knocked me out with another award! Candy is a true junker and a great writer. She finds cool stuff and she "works it" beautifully. Check her out. She is worthy! I only started blogging in August of this year. Before then, I had no clue what was going on in your lives. I didn't know there were good writers, junkers with the heart of my heart, photographers and people who I could enjoy reading about. As part of my award, I have been asked to share with you 6 things that make me happy. 1. God. The Wonder and Wonders of God would be first. He's so cool and He gives us so many awesome things to bask in. Happiness begins with God, don't ya know? 2. Family. I have the coolest family. My parents are a hoot. And my sister is the best. We never get together that we don't crack ourselves up! 3. My Romance. David. Snakelover. Student of Life. God's gift to me. Who knew? It is SO our turn! 4. Primitiques. My store. Forever growing and changing and providing me with a creative outlet. And an excuse to shop! 5. Nature. I love animals and plants and trees and the sky and the wind and bodies of water. Dirt, green stuff, breathing stuff, growing stuff. In the garden. It's all good. 6. Music. Probably not something I've really revealed in blogland. I am a music person. Who isn't, really? I got through college on vocal scholarships. When I sing, I am happy. And now, I am instructed to bestow this honor on 6 other bloggers. What a task! As discussed, I've not been doing this too long. I see other bloggers I know, already being awarded. I recently did start searching around, and looking at other blogs. So, while some of these may not be tried and true bloggers, they are appealing. And I'd like to expose you, perhaps, to some new folks. 1. Student of Life - Snakelover - David. He shares his awesome photography and sometimes, deep philosophy. He can be quite sappy, as he loves me. Be ready to gag sometimes. No. We did not invent love. But, we are enjoying it like it's brand new! 2. Tricia at The Domestic Fringe can keep you laughing. She has a wit and way of writing that will have you laughing out loud. She shares her life in such a way that you just want to be her friend. 3. Theresa at Garden Antqs Vintage is the kindest, sweetest, most inside beautiful person I have met in blogland. I think she is fairly well known amongst most. She seems to be everywhere! If you have not met her, face to face, you have missed out. She is just a sweetheart. And she said I was pretty. How can I not like her? Ha! 4. The Farm Chicks. Am I slow to catch this creative blog? They do some cool stuff! I recently discovered them, and I like 'em. I like 'em! 5. Sandra at Canyon Wren Cottage. Another recent discovery. She always has pictures that make me wish I was there! And from multi million dollar homes to goodies from the dollar store, she will always keep you guessing! 6. Debbie - Tn'T - Talking Trash. I know, Deb. You already got this once. But, I can't help it! You are so inspirational! If you haven't discovered this creative writer, wonderful junker, lovely person, then click away. She will entertain you for hours and have you blowing milk out of your nose. I hope some of these might be new to you. And congrats to the winners! I enjoy y'all so much! Thank you so much!!! I'm honored to recieve this award. I hate to admit this, but I don't know how to use these awards. Can ya teach me? How do I get the code so I can pass this bloggy award on to other great bloggers? Thanks again! Blogging is a great world full of interesting people and stories. Thank you for your kind award. I think we have more on common than you might think. Not only am I a trash to treasure kind of gal, but I'm a singer. Or at least I used to be. I didn't major in voice, but I did sing in a contemporary Christian trio and continued that after college with another couple of groups. The blogging world is filled with greatly talented people.